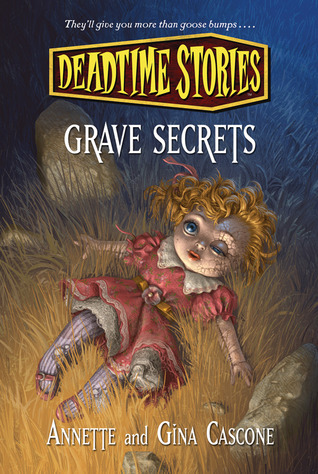 Cascone, Gina and Annette Grave Secrets (Deadtime Stories) 192 pgs. Starscape, 2012. $11.53. (Language-G Violence-G; Sexual Content-G). When Amanda and her friends dig up and old tattered baby doll, they are sure they heard it say “mama” even though it was too old for technology components. The discovery sets off a chain of events that involve the creepy old neighbor lady who has a bad reputation and a sad little ghost that won’t stop until she gets what she wants. An easy and engaging read that students will like reading. It was creepy and played up the chapter ending cliff hangers to keep the reader on edge. The characters were pretty generic, but the spooky events were interesting enough. This book is a great example of Cliff Hangers and could be used in a class lesson in that regard.